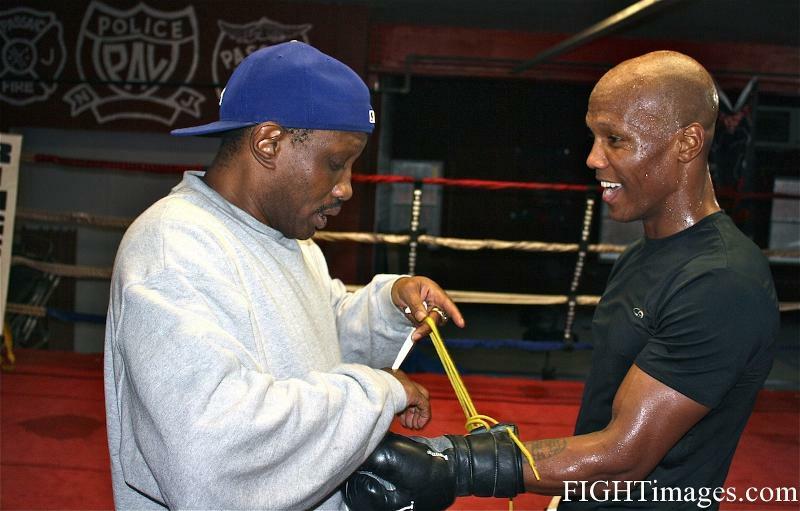 Zab Judah: "When I went in against Matthysse, me and my team knew that I was going to beat him. Golden Boy thought I was going to be a stepping stone, so they sacrificed one of their pawns. Now they're going to come back and sacrifice one of their queens. It's check mate baby, you know it is!" "I plan to be his (Amir Kahn's) worst nightmare. After this fight I plan on Team Kahn having a 62 hour watch on Amir Kahn. I plan on being the Freddie Cougar of his dreams. I plan on being Freddie Cougar to Freddie Roach. I'm pretty sure after this fight Freddie Roach would never put his golden boy and marquis fighter, which is Manny Pacquiao, against me in the ring." Over the past five years, "I grew up a lot. It's not just about age, its maturity. It took me a little more time to figure things out. Now I am alive and alert and I have the great Pernell Whitaker in my corner. Having him in my corner exempts the whole Freddie Roach thing. Now I have not only a masterful trainer, but I have a masterful fighter too. Freddie Roach has a great game plan when it comes to boxing training, but as a fighter he wasn't that masterful. I have not only a masterful fighter but a great teacher, so I have the edge." "Pernell Whitaker and Zab Judah is something like a movie. We started out together when he was still fighting and it turned out to be a great thing. We are now working side by side with each other. He's my right-hand man! He's pouring on all the great skills and accomplishments that he's done in his boxing career. It's phenomenal. He's good at what he does." A win against Kahn would mean: "For the most part it unifies the division; it's a closer step to undisputed. I also think Amir Kahn is a good boxer. He has fast hands, decent power, but I think it's a sacrifice move what Golden Boy did here with Amir Kahn, and I think he (Kahn) will realize this once the bell rings." "I'm from Brooklyn, I don't have problem taking the the long, hard, grinding road. I wasn't the golden boy. 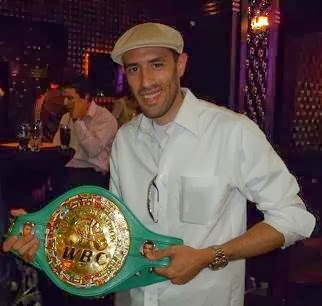 I wasn't the guy always in the light, the guy always first picked, but somehow I made my way back to the top with the thanks of Main Events and Super Judah Promotions. It says a lot to come out of the '96 team of great fighters, and to be one of about 2 of those fighters still standing on the championship level." "Main Events has done a great job with me. It's a good feeling. I have a strong team. We're the underdogs going up against what they would call wolves, they do their jobs, I do my job, and we got a successful plan going on. I think we won't be stopped." "July 23rd is about this: what can you bring as far as your skills; what can you bring as far as far your brains; what can you bring as far as your knowledge of boxing; what can you do inside that square ring; what do you do when you look across that ring and there's a hungry lion named Zab "Super" Judah looking you dead in the eye, anxious for the bell to go bing?' You either fold or you play cards. I'm going to play to win." Kathy Duva: "Zab is being under-estimated. Everybody keeps talking about Zab being old, but he's not old and I don't know why people think he is. If you look at the top ten best pound for pound fighters in the world you'll find that the vast majority of them are older than Zab. He's experienced. He started professional boxing at an age much younger than most professional fighters. There's nothing wrong with experience. If you look at the history of boxing, generally the young talented fighters have run into a problem the first time they meet up with an experienced fighter in his prime. That's the real test. Lots of guys can come up and win titles, there are lots of titles that are available, but when you get in that first fight against that really experienced fighter, that's the real test. That's the test that Matthysse was not able to pass, and now Kahn is going to have to deal with the same thing. That's why we like this fight, that's why we like Amir Kahn as an opponent for Zab, because we believe that Zab is going to take him to school." Khan vs. Judah, a 12-round WBA and IBF Super Lightweight World Championship Unification fight, is presented by Main Events and Golden Boy Promotions in association with Super Judah Promotions and Kahn Promotions. The HBO World Championship Boxing telecast begins 7/23 at 10:00 p.m. ET/7:00 p.m. PT. Tickets priced at $400, $300, $200, $100 and $50 are available for purchase at all Las Vegas Ticketmaster locations (select Smith's Food and Drug Centers and Ritmo Latino). To charge by phone with a major credit card, call Ticketmaster at (800) 745-3000. Tickets also will be available for purchase at www.mandalaybay.com or www.ticketmaster.com. In the United Kingdom, the event will be broadcast live on Primetime Pay-Per-View, channel 480 on Sky for £14.95. For fans who want to travel to Las Vegas to see the fight live, Team Khan has teamed up with leading Thomas Cook brand Flexibletrips to provide a range of tailor-made travel packages for fans who want to be there in person. Packages include flights, hotel rooms and fight tickets. More information is available at www.amirkhan2vegas.com or by calling 0844 8798298.